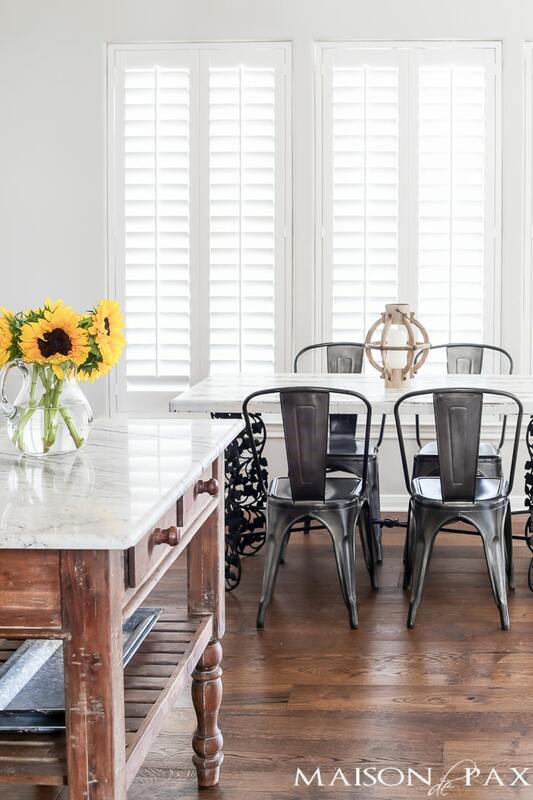 I cannot believe summer is upon us: long evenings, sunshine, snow cones, and swimming… This season simply makes my heart happy, and I am so excited to share my summer home tour and simple summer decorating ideas with you today. So for summer I’ve added a few touches of nautical stripes (inspired by my new outdoor dining space) and lots of raw wood tones. 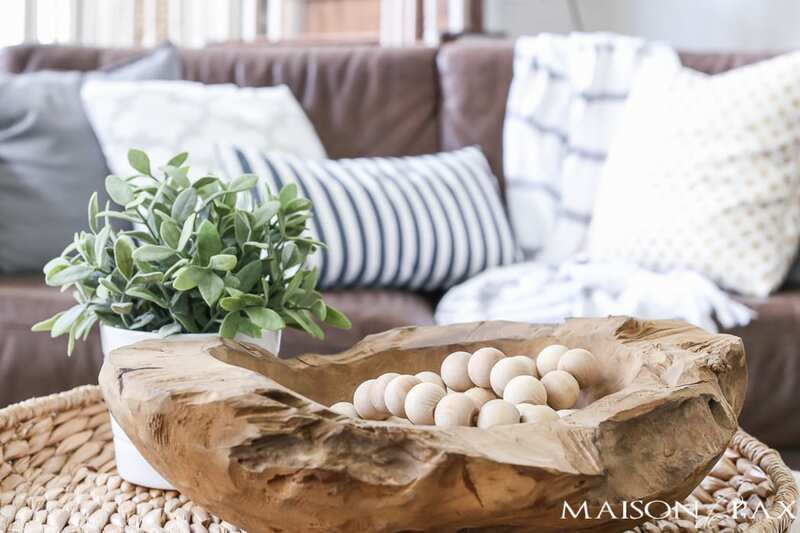 I think something about them reminds me of driftwood and a laid back beachy feel. I haven’t changed much in my living room recently, but I did add a new faux olive tree and replace some of my fresh flowers with dried eucalyptus. I love clippings like these for maintenance free greenery! 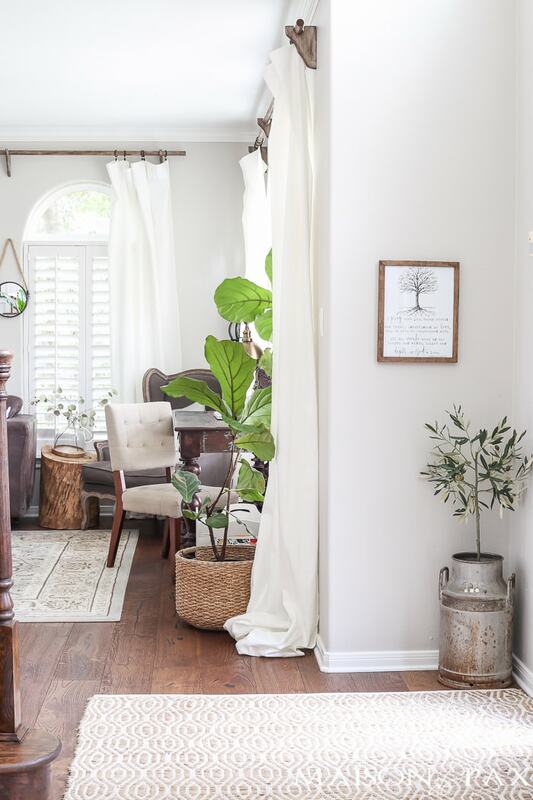 And I love how it feels airy and light yet soft and cozy with the addition of our diy curtain rods and affordable curtains. 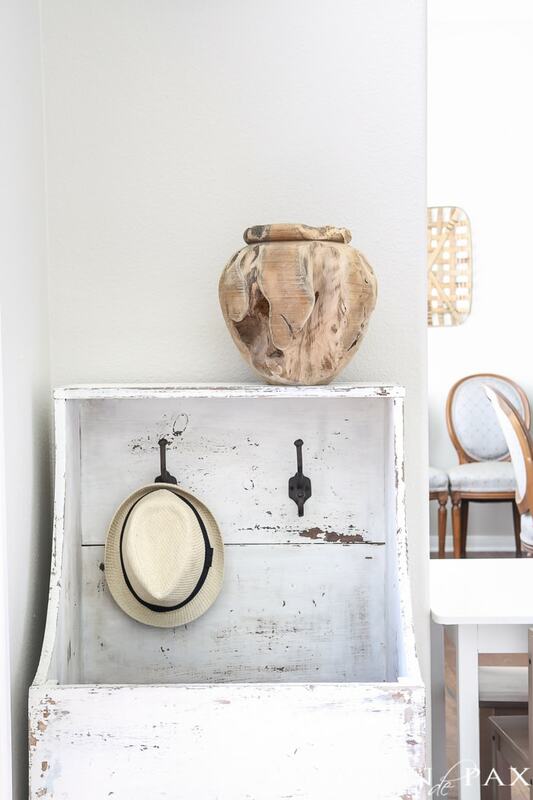 I’m a firm believer that smart decorating is about more than beautiful things; it’s about finding (or making) pieces that serve a necessary function for you and your family AND are beautiful. We still use this boot box I made last fall to hide all our shoes, and not tripping over shoes all the time makes this mama very happy. 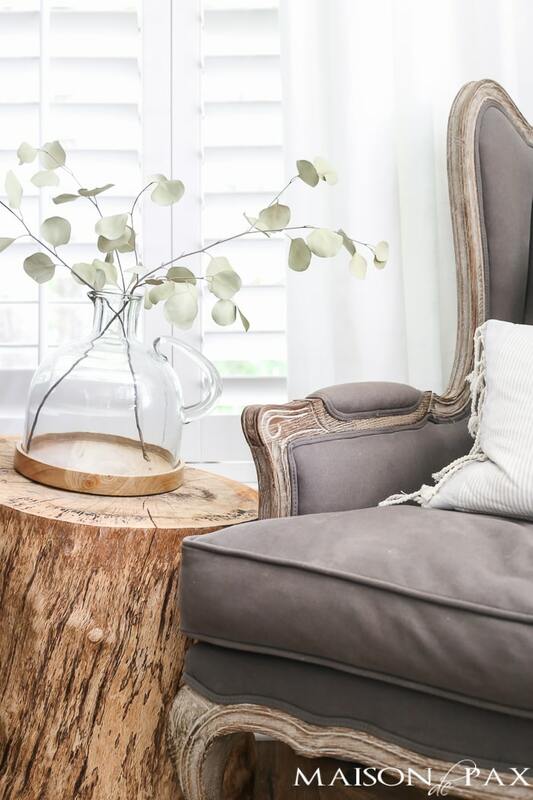 This gorgeous teak vase* – which I purchased with a gift card generously provided by Birch Lane for this tour – is exactly the kind of raw wood look I’ve been craving. I hid a mason jar inside to hold some flowers, but I think it’s just as lovely all by its naked self. 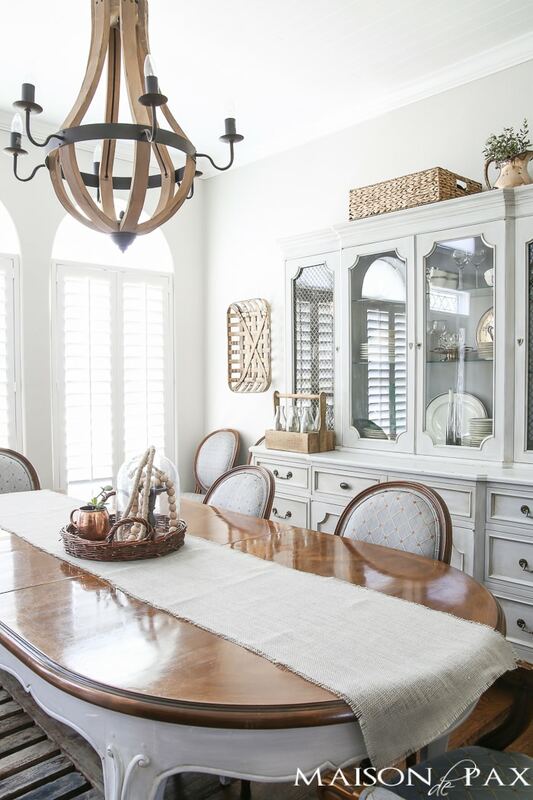 I carried the warm tones into the dining room with a baskets and wooden accents. I did add one summer touch to the other side of our dining room. 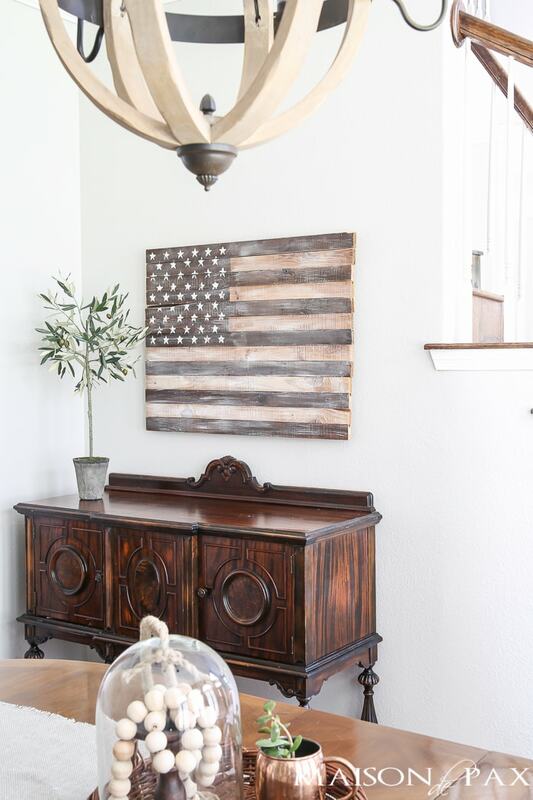 I haven’t hung this diy cedar planked American flag since we moved here, but I thought there was no better time than the middle of the summer to do so. I don’t think it will stay here permanently, but I do think it’s fun for summer and I love how it brings more of those rustic wood tones I’m enjoying these days. 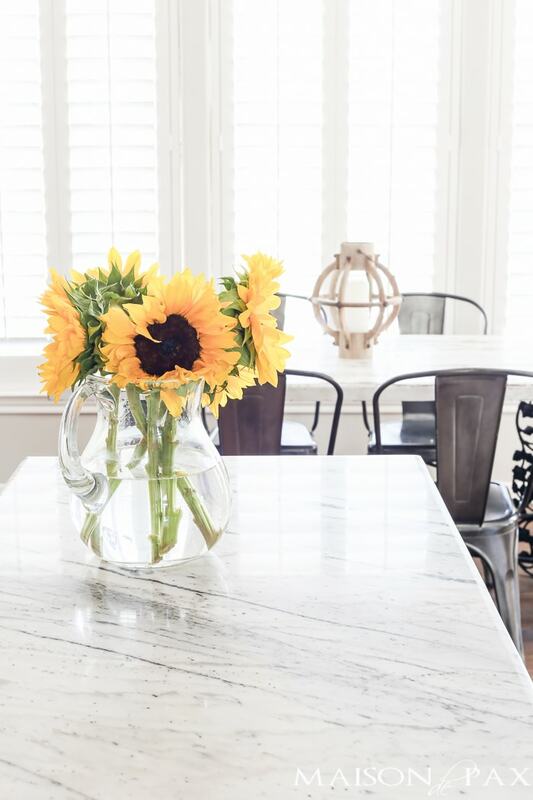 Those same tones are carried into our kitchen with our island, and these sunflowers my kids picked out at the grocery store the other day sure are making me smile. But the real attraction these days is the pool. 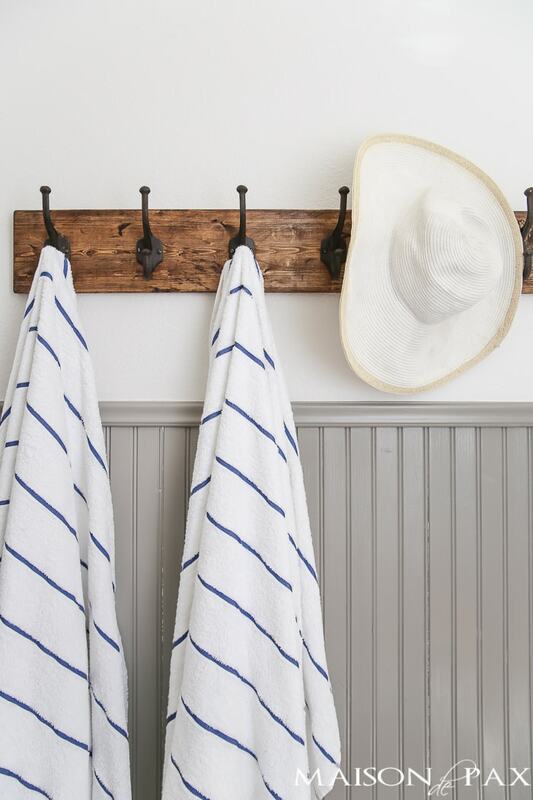 I’m so glad we equipped our half bath with a big rustic towel bar. Hours and hours are spent out here by the pool and on the back porch. 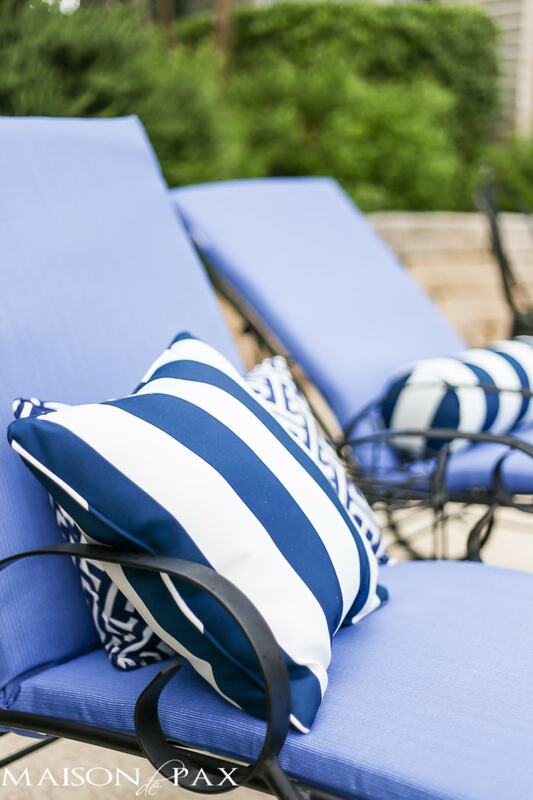 I will have to save a full tour of our backyard for another day, but you can see that it is the source of my navy and white nautical inspiration this summer. I can’t believe that last summer it had not one stick of furniture on it! Now it feels like an extension of our home. 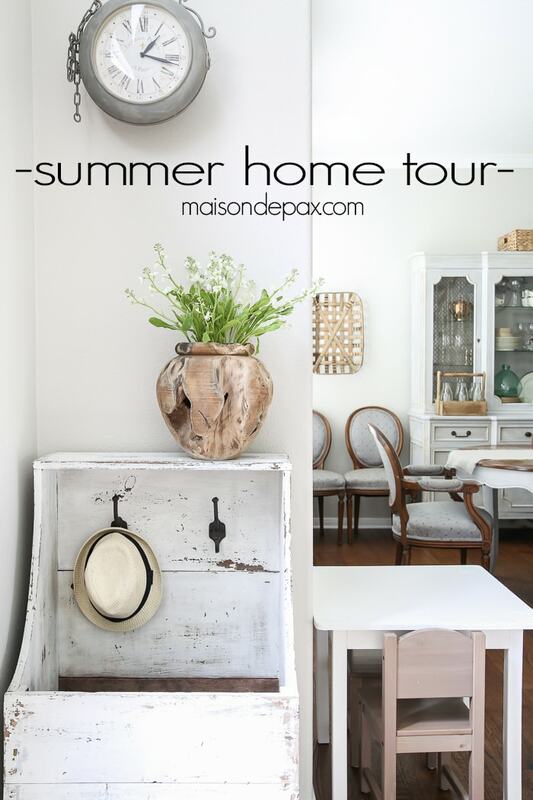 A huge thanks to Nina Hendrick Design Co for organizing this wonderful summer tour! 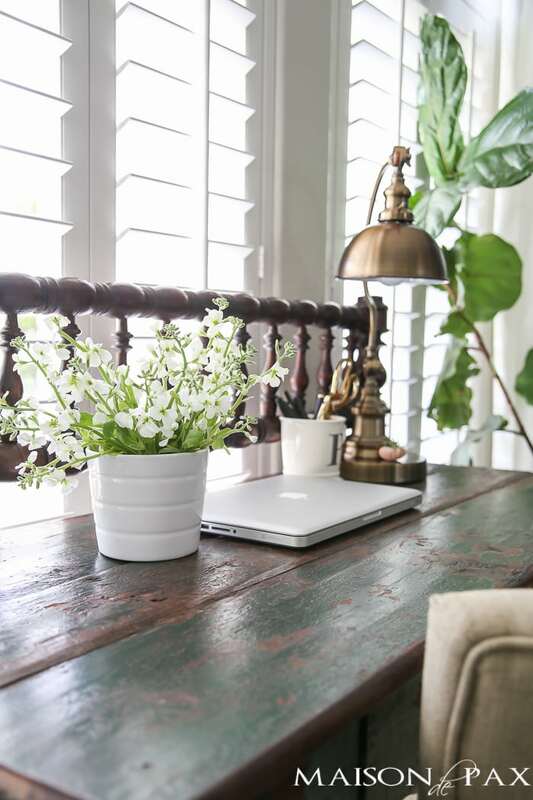 Come back tomorrow for more of our backyard, and be sure to visit the other talented bloggers sharing their homes this week. 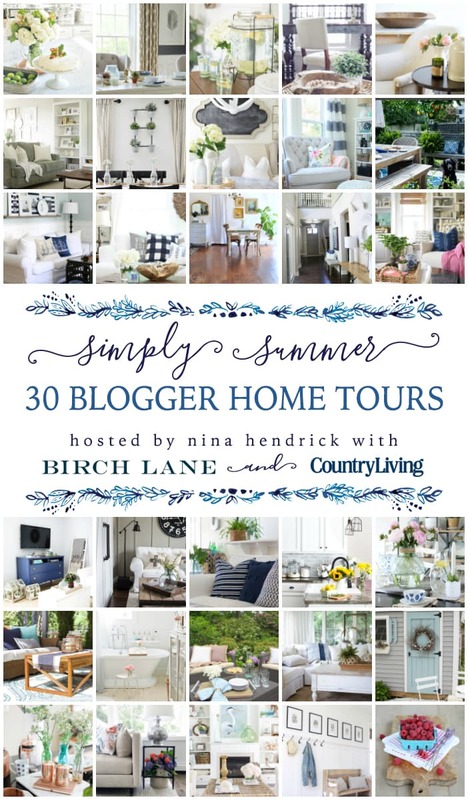 *Disclosure: A special thanks to Birch Lane for providing a gift card and Country Living for partnering on this tour! Your home is incredibly beautiful, Rachel! I love all of the wood accents. And your story about the tree stump- that is so something I would do too 🙂 Thank you so much for being part of this tour! Your home is stunning! 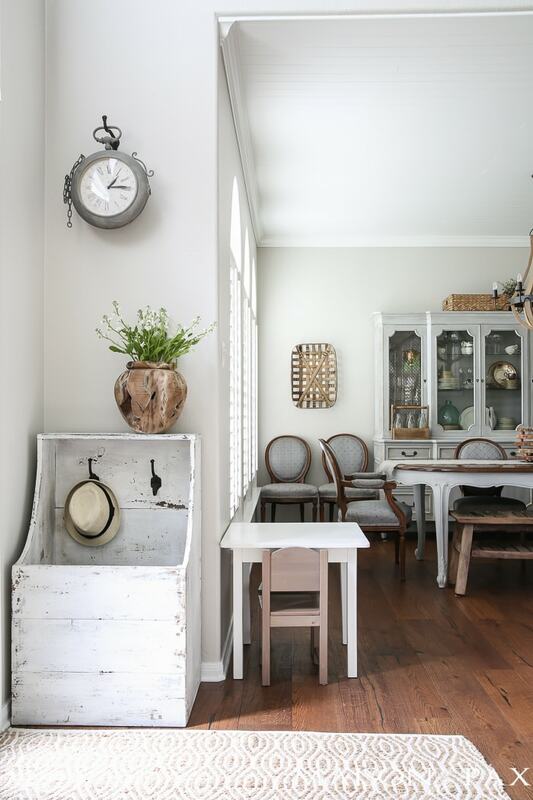 I adore all the white with warm wood accents!! My favorite! Amazing! 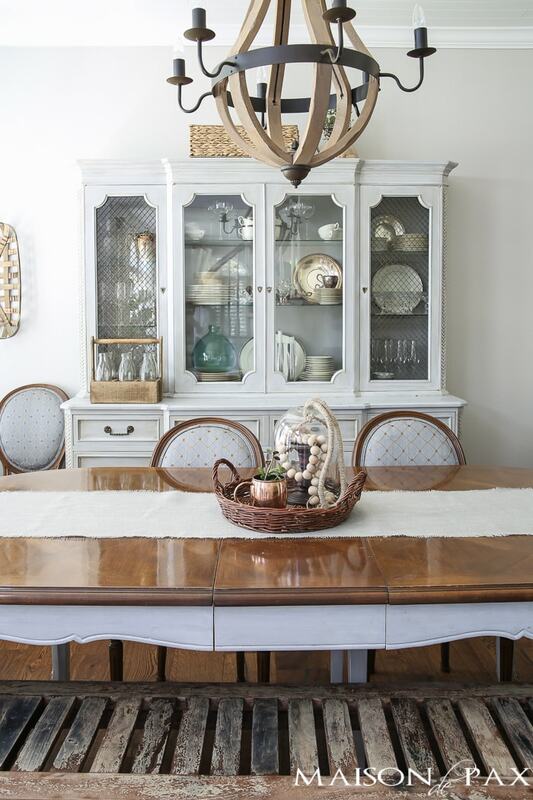 Your home inspires me always Rachel – beautiful! Such a beautiful home. I can tell you have put a lot of love into it, Rachel. I really like your flag in the dining room too! Thank you so much, JoAnne!! Love your home, Rachel. 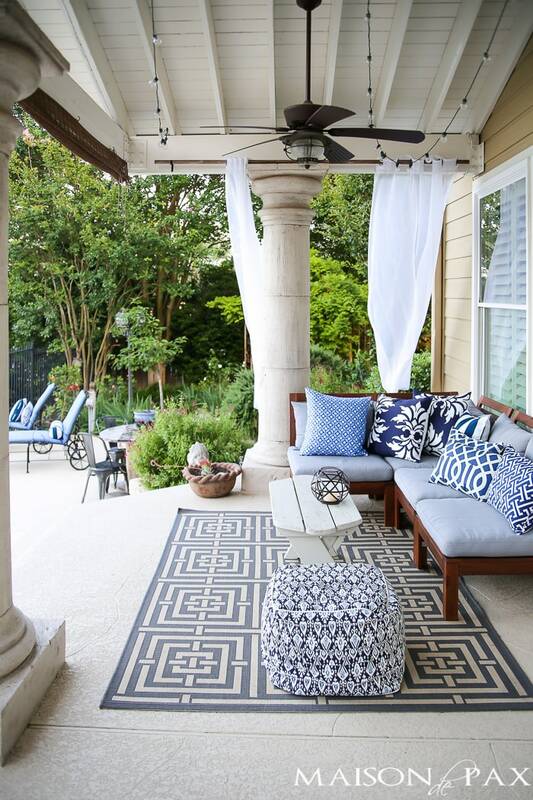 Love what you’ve done with the backyard space too. Incredibly beautiful! 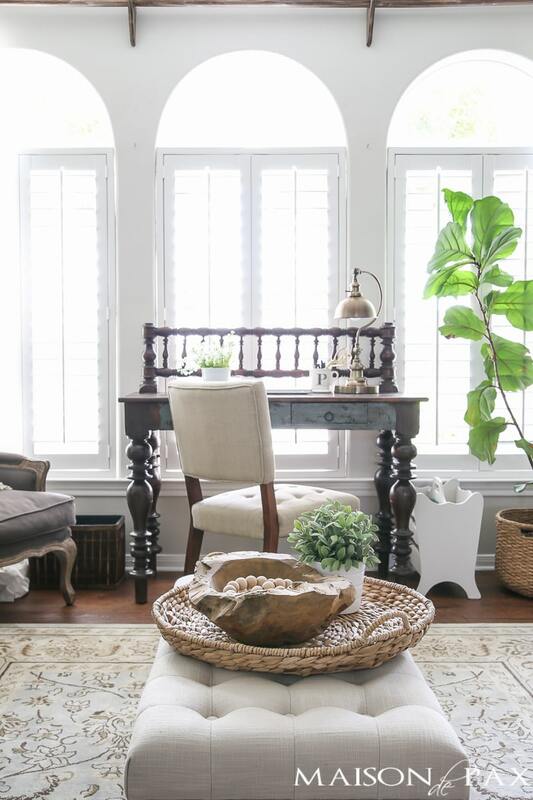 How I love that teak vase. 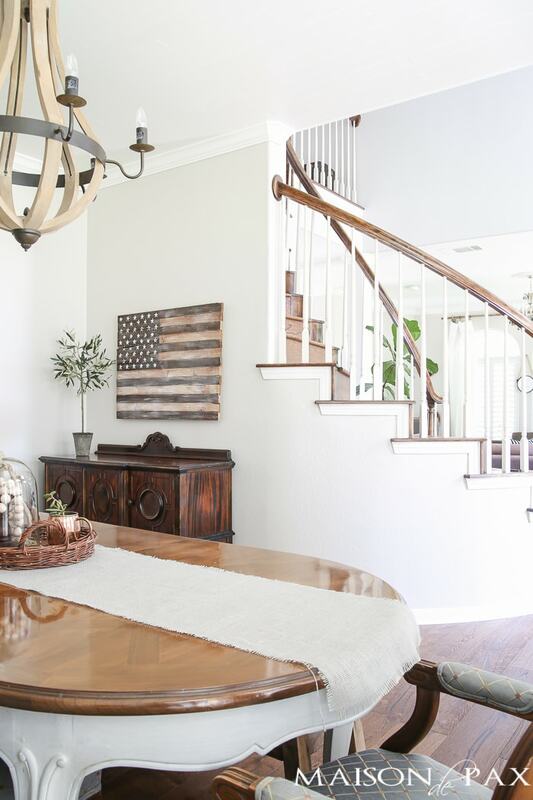 Gorgeous and all your warm wood tones through out your home. But I’m seriously drooling over the pool area. Wow! Rach, I love the ways you decorate simply for summer. Your staircase is such an eye-catcher. And those striped towels!! Heart eyes all the way! I think my favorite tho, is your patio. So dang dreamy! Your home is beautiful! 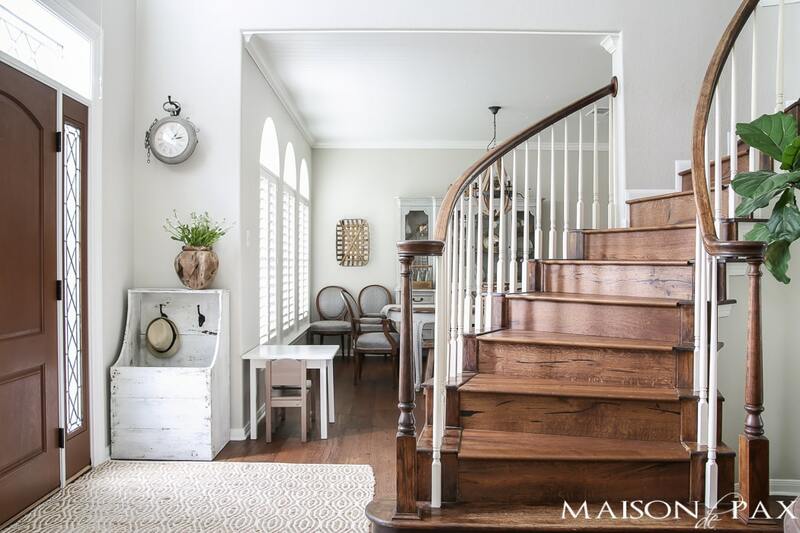 Could you please share the paint color on the walls and the trim color? Thank you so much, Lisa! 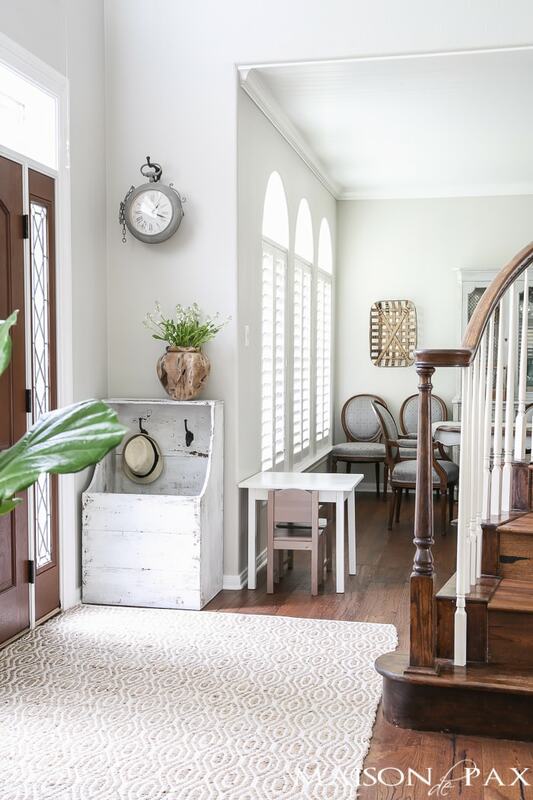 The walls are Agreeable Gray by Sherwin Williams, and the trim is Extra White (which is straight off the shelf, untinted) – also from SW. Hope this helps! Hi Rachel, in all of these pictures, is the wall color Agreeable Grey by sherwin Williams? I love it!! But the other pics I am seeing online the agreeable grey looks a lot more beige and darker?? I’m so glad you like it, Dallas! Yes, the walls are all Agreeable Gray, but it is quite a chameleon color; it can look either gray or beige depending on your light. 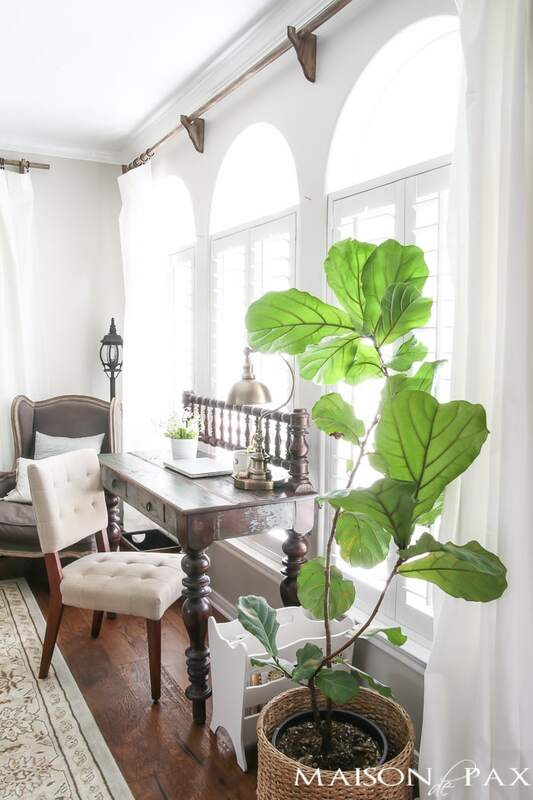 With so many windows and filtered light (due to trees and shutters), ours does read pretty light gray, but I have seen it look warmer than this, too. Another good option is Repose Gray if you want to try a sample of something very similar but a little less warm/beige. I hope this helps! I love the wall color in your living room! Do you know what it is? Thanks! Hi! Yes, the color is Agreeable Gray by Sherwin Williams. Love the look you’ve created! 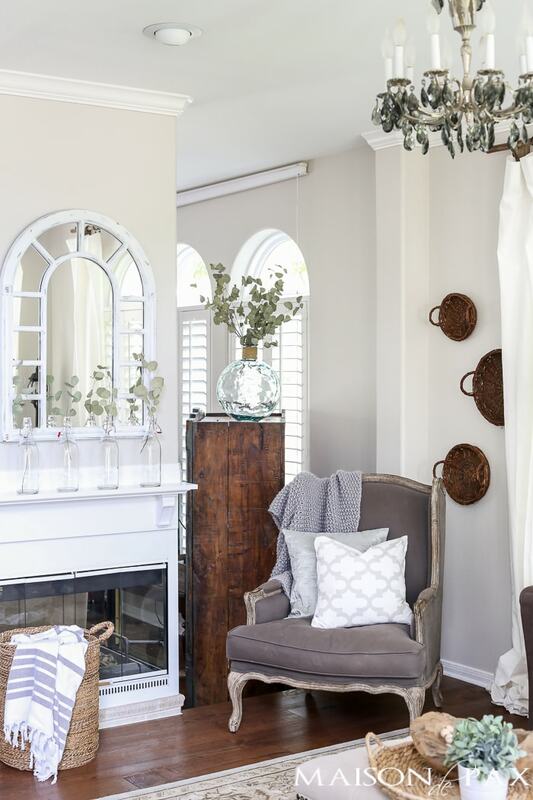 Wondering where you purchased the farmhouse mirror hanging above your fireplace. Haven’t been able to find something similar. Hi! What a gorgeous home, inspiring! I noticed the verse framed in wood, with the tree, in the foyer. Where did you get it? And what does it say, it is blurt when I zoom in, thanks so much! Thank you so much! It is a print from an Etsy shop. You can find it through this affiliate link: http://rstyle.me/n/cs6t33b5bux. I love so many of Jolie Marche’s products! Hi! 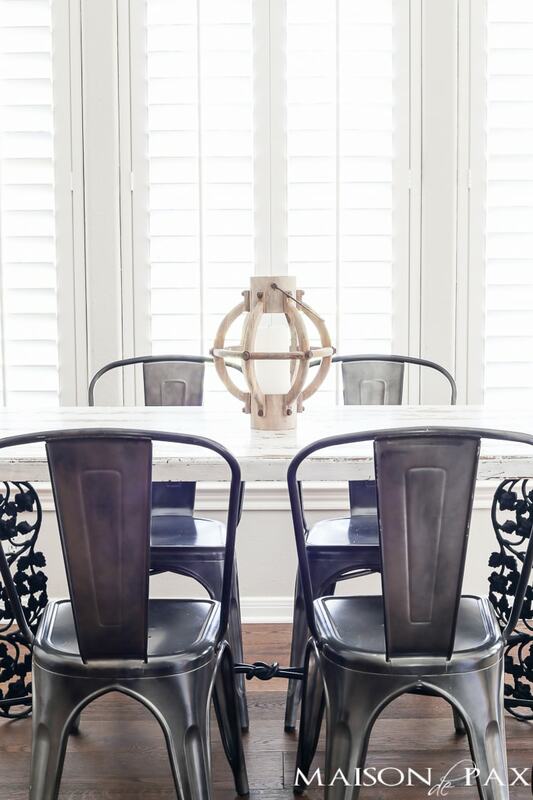 Do you happen to know What the color is on your wooden wine barrel stave chandelier? Thanks so much! You have a beautiful home! Thank you so much! I’m afraid I don’t know the color as it came like that… you can find the chandelier here (affiliate link). I hope this helps!